What a neat idea, dissolving paper soap. 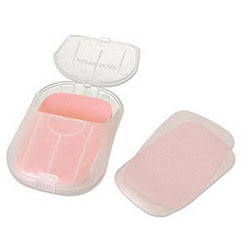 They are a nice alternative to using anti-bacterial gel and it can really dry out your skin after prolonged use. These are a great item to take along when you travel.